Barcelona born drummer Oriol Roca had no intention to release a solo album. He didn’t even plan to perform solo, for that matter. And yet, La Tomba dei Giganti is his first outing under his own name. Once he had played his first solo concert and listened to it afterwards, he realized it was closer to the way he felt about music than anything else he’d ever done before. It all happened by chance. In August 2009, Paolo Angeli, an amazing Italian improviser currently living in Barcelona, invited Oriol to perform at Isole che Parlano, an arts festival held in the tiny village of Palau, in the Italian island of Sardinia. He asked him to do a solo concert at a very special spot in Palau -right at the foot of a bronze era monument, La tomba dei giganti (Giants’ tomb), erected in 1400BC. Locals strongly believe it is a source of energy with strong healing properties. Els segadors, the official Catalan hymn, on a cheap flute someone had brought him as a souvenir from London. He knew none of the people attending the concert, some of them musicians but mostly locals of virtually all ages, would recognize the tune. But it didn’t matter. It moved them all the same. Hence the tittles -Sound, Dance, Music, Life, Wisdom, and Hymn- into which the performance, presented on the album in its entirety and unedited, is divided. Italian sound engineer Roberto Monari happened to be there with his recording equipment to document the festival. Then someone sent Oriol a copy. Then he listened to it and he was struck to recognize himself so strongly in the music. 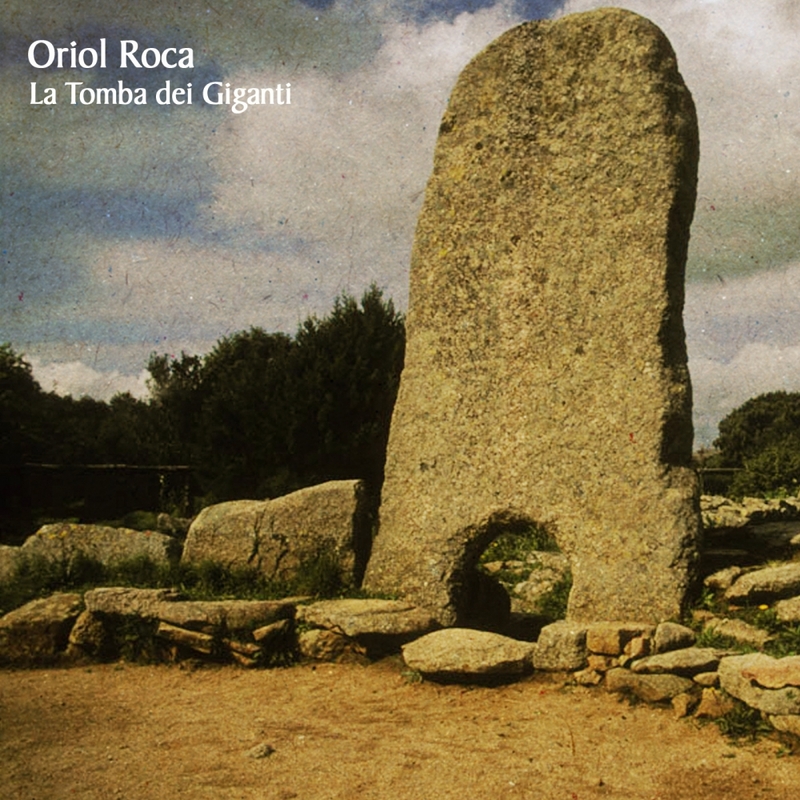 And that’s how La tomba dei giganti, Oriol Roca’s first ever solo album, recorded on the evening of his first ever solo performance, came to be.